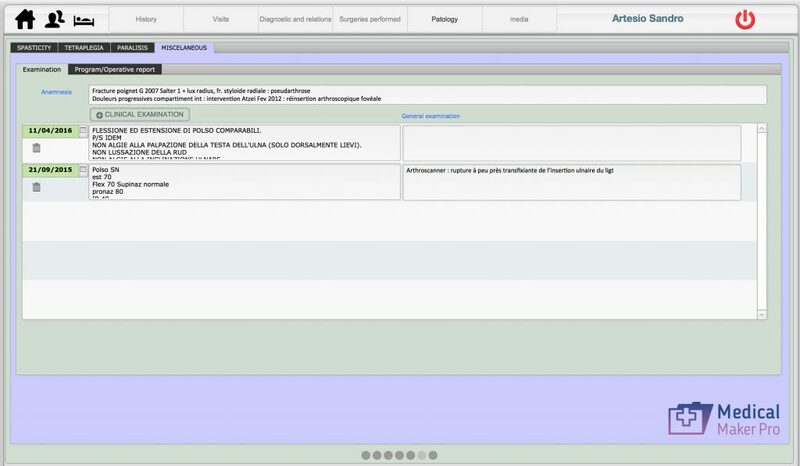 The ideal application for physicians, in one click! Designed for surgeons in any specialization, this app will allow you to keep track of patients' personal data, details of their texts, x-rays, photos, medical examinations, planned and performed surgical procedures, wherever they have been done and wherever you are. 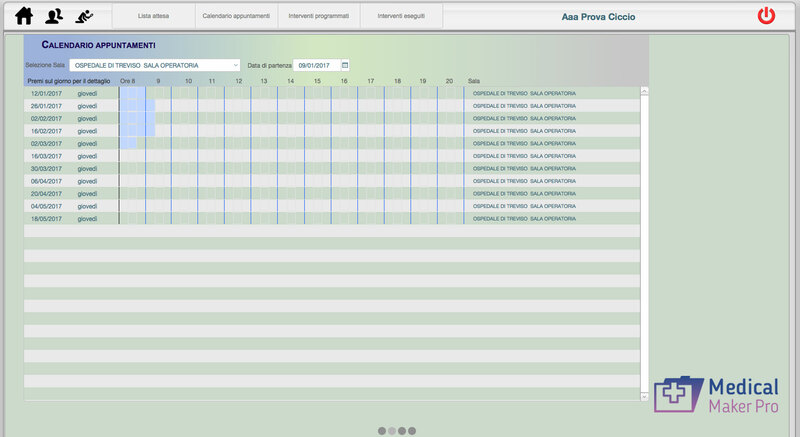 The app allows for a broad data storage to safely manage and organize informations into folders. For your daily work, the tool you were waiting for. An indispensable tool in the medical field, to easily store and manage your patients' data. Medical Maker Pro is the ideal professional tool to help you better organize your work by simplifying your tasks, improving efficiency and reducing unnecessary waste of time. 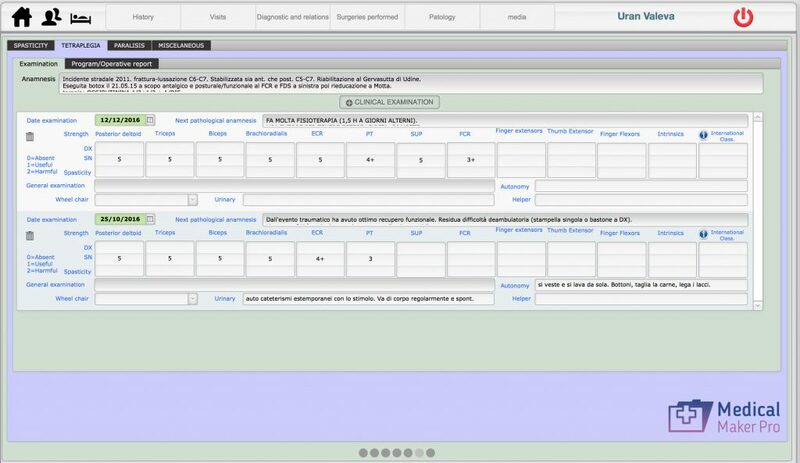 It allows you to store and organize personal information and medical history such as tests, diagnostic images, photographs, examinations and prescriptions. It facilitates fast research and location of past consultations. 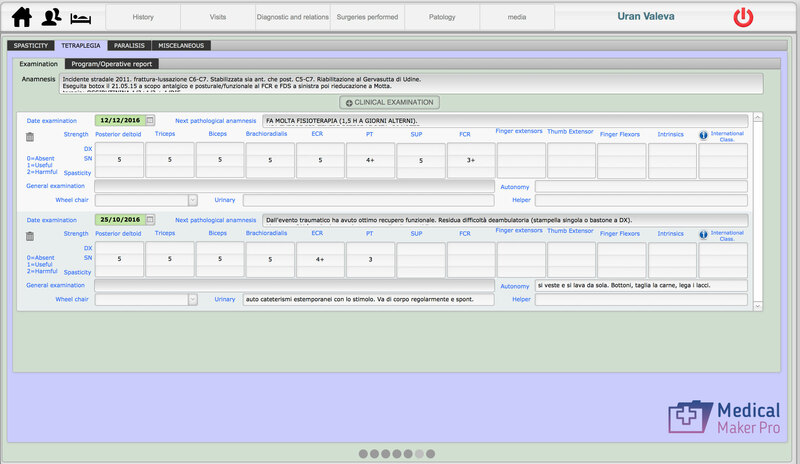 It simplifies the filling out forms and documents (e.g. scripts, admission forms, operating plans, surgery lists) for your patients or for the Ward/Service/Operating Theatre. It simplifies filling all forms and examination documents in PDF format. It can be used by any device, mobile, PC, tablet, browser. Supports Client-Server Architecture. Developed on the flexible platform Apple Filemaker allows integrations and customizations. It was developed in collaboration with doctors for doctors. 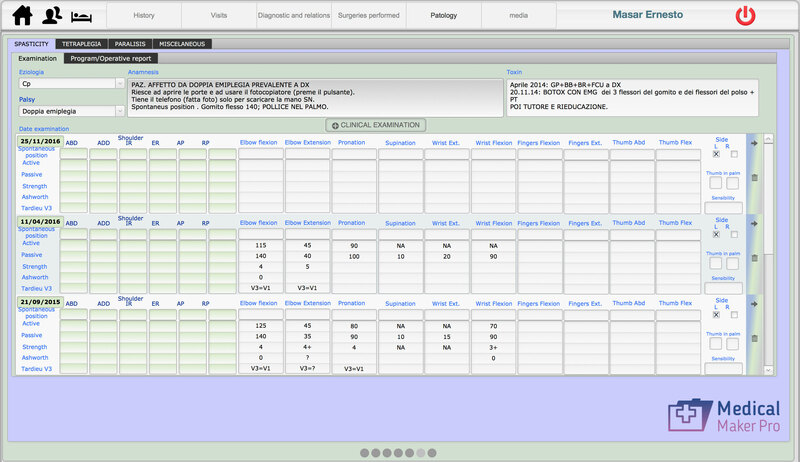 Data Management for all Medical Specializations, for Surgeons, and Multi Management. You can use the app in many different languages. 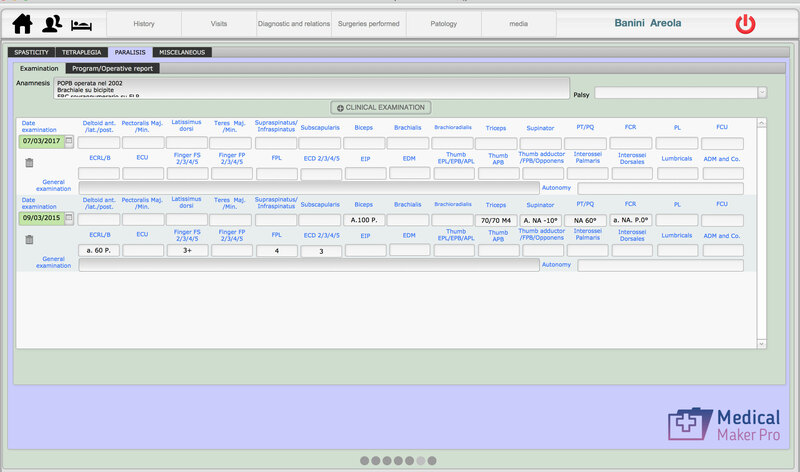 You can adapt or create customized modules for every requirement. There are already a version dedicated to hand surgery and a version dedicated to arm specialty. 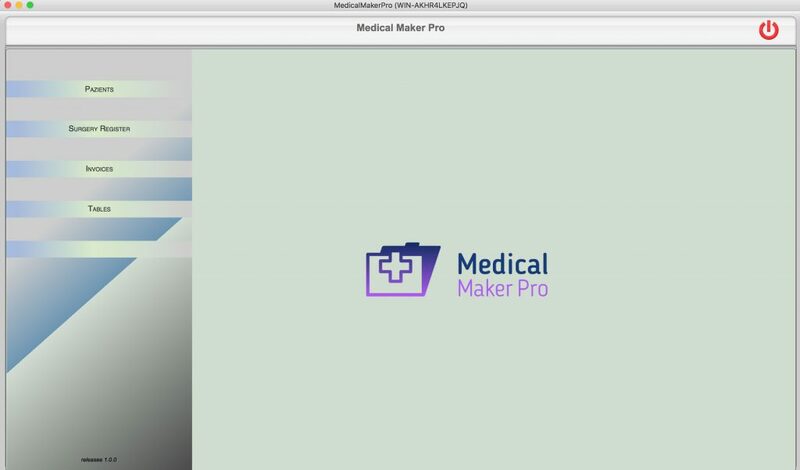 Medical Maker Pro, more efficiency, more free time.